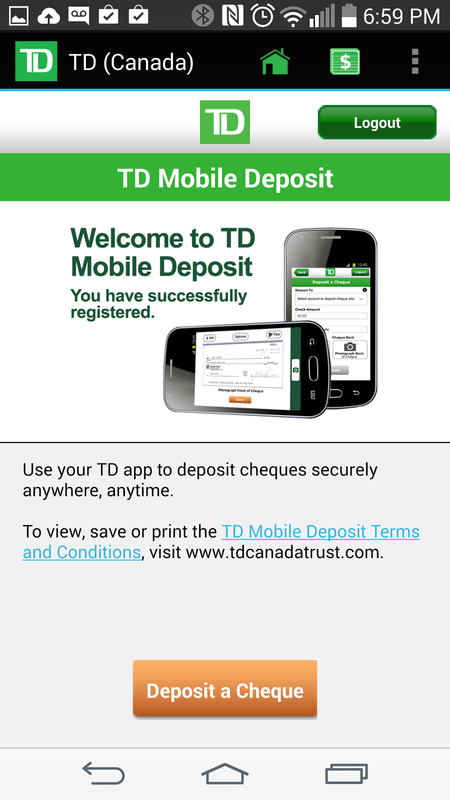 Getting my favourite bank to work with my favourite phone (Android) is awesome. 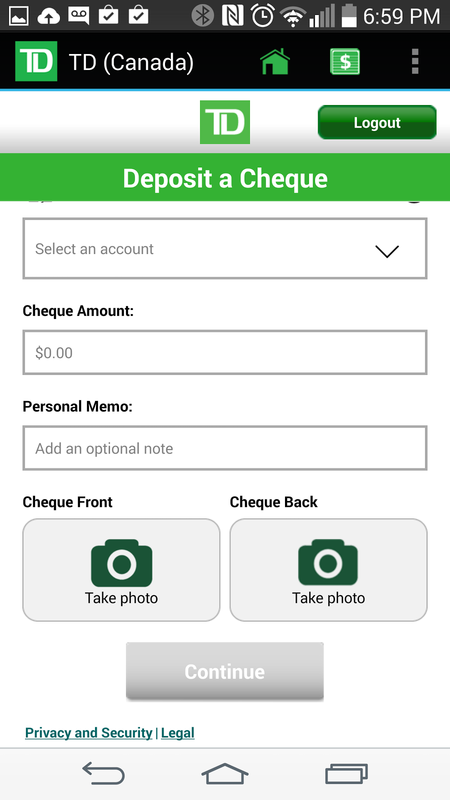 Now you can just deposit a cheque by scanning it in with your phone! 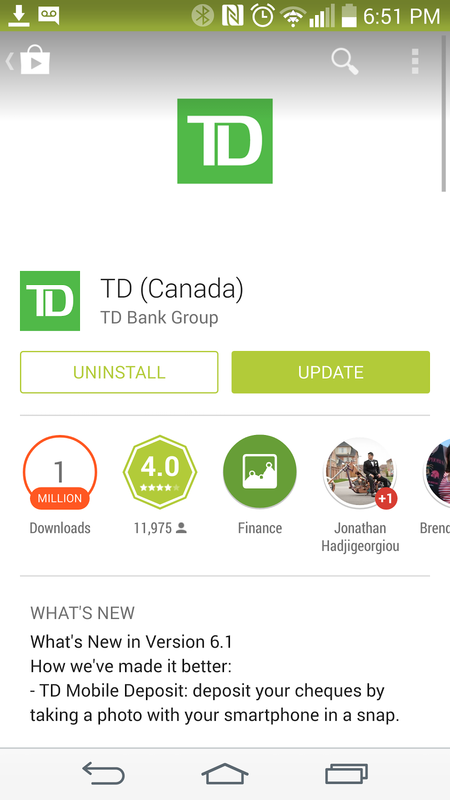 Just get your camera ready, have the TD Canada app ready to; ensure you have EasyWeb for your account. 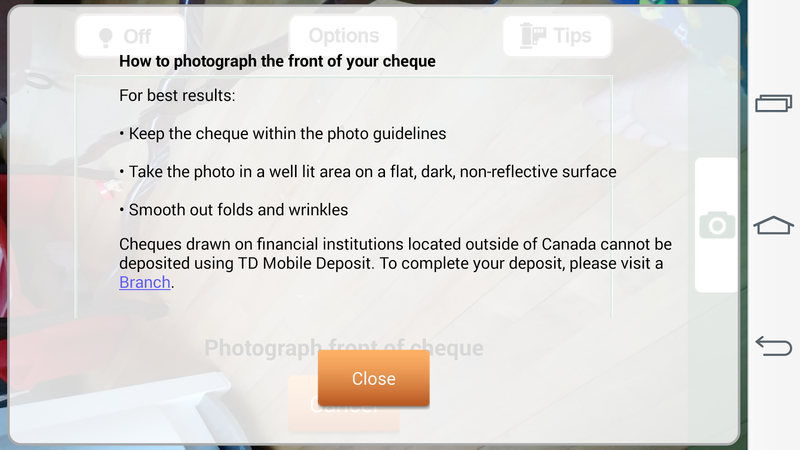 Photo the front and back of the cheque and you're good to go. 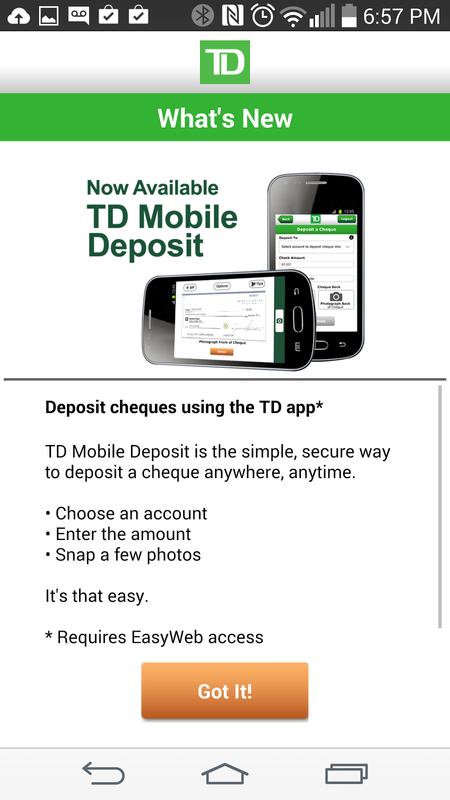 I have a 'cheque in the mail' actually, so I'll have to test it out and let you all know.